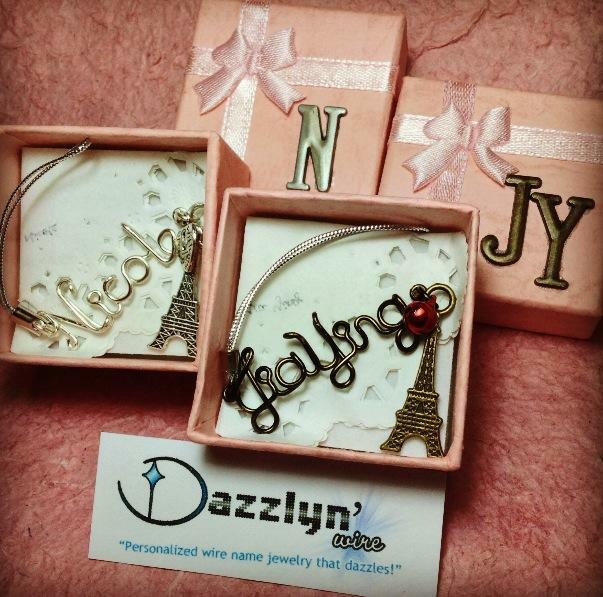 A personalized wire name 'Nicole' using silver wire with a 'made with love' and Paris Eiffel tower charm, and 'Jia Ying' using antique bronze wire with a glitter-coated red bell and Paris Eiffel tower charm. Both comes in respective boxes layered with a paper doily, and with their name initials on the box, according to the color of the wire name. This is a very special custom order by Lewis Chia. Thank you very much, God Bless!